I guess you could call me a reluctant genealogist. The craft/hobby/obsession has been trying to draw me in for half my life. I finally capitulated these past two years. Here’s how it all started thirty years ago this fall. I had just finished conducting a graveside service outside of Fairfield, Texas when I was approached by a couple who appeared to be in their late forties or early fifties. They introduced themselves as Lawrence and Juanita Uhl. They thanked me for the service and my kind words and then asked me a question I had never been asked before or since at a funeral service. “What do you know about your father’s family?” That’s where it all began. I didn’t know it then, but I know it now. The truth was, in spite of my insatiable curiosity about most things, I knew nearly nothing about my father’s family. It wasn’t because I didn’t want to know. It wasn’t because I hadn’t asked. I think I can sum it up in two ways. First, my dad and his dad knew nothing about their family and its roots. Second, unlike a good genealogist, I took their “No” for an answer. They had nothing to tell me and I accepted their lack of information as the final say on the matter. I lived with this false reality until the fall of 1985. The Uhls were professors at a small college in East Texas and they both had been bitten by the genealogy bug. They were passionate amateur sleuths, using most of their free time in the hobby (read obsession) but had hit a roadblock in following Lawrence’s father’s line. They lost the trail in Virginia. They later confessed to me they hoped by helping a minister that God would help them get past their brick wall and pick up the trail. I told them only a few things at the cemetery that day. This was all I knew. My dad was raised in the Ft. Worth, Texas area by Gus Roberts. While badgering my dad one day for information about his family he blurted out that all he knew about his dad’s family was that they were from a small community outside of Paris, Texas. That’s not much to go on. Lawrence and Juanita Uhl took those crumbs and went to work. Two weeks later I received a call. The Uhls asked permission to drive to our home in Nacogdoches and share what they had found. In a few days they arrived with a notebook and large envelope in hand. They weren’t sure how I would take the news they had to share and thought it would be better delivered in person. Here’s what I heard and saw that day. My grandfather, the man I knew as “Papoo”, was the offspring of his father’s second marriage. 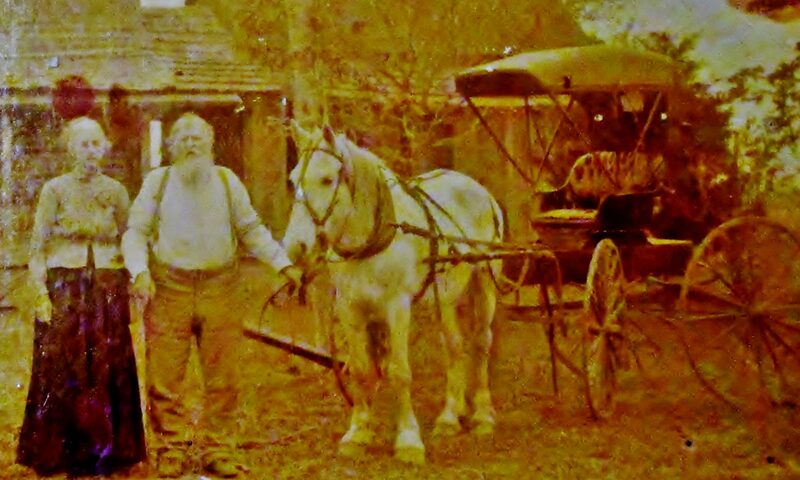 Great granddad John A. Roberts had a nice farm in Lamar County and he worked it with his son and son-in-law from his first marriage. His wife had been deceased for a few years when he married one of his farm workers. She was about 29 and he was 66. My granddad arrived in 1898. In 1901 my great grandmother Mary Laningham Thompson Roberts and one of the hired hands named John Killian were accused and convicted of murdering my great grandfather. They were sent to the Texas Penitentiary. Witnesses claimed my grandfather Gus, then only three years old, was in the room when the deed was done. He would be raised by the Masonic Home in Ft. Worth until he graduated their school at the age of eighteen. In a flash I saw it. I knew why my grandfather was the way he was. I was moved with compassion for him and my dad. My father had once described his dad as a “mean old bitter SOB”. Dad would not escape the malaise. He left home at 16 to wrestle with his own demons the rest of his life. Now I understood. My great-grandmother was convicted of murdering my great-grandfather in 1902. Was this bad news? Sure. Was it sad news? Yes. A jury of 12 men said it was a fact. They said it was the truth. (I’ll have more to say about this on another day. Hint: They were both pardoned by two different governors!) For now, all we had to work with was the decision of that jury. Knowing the story allowed me to share with my father about a man he never met (his grandfather) and a man he never really knew (his father). I saw a light in his eyes that day and an emotional expulsion from his chest. He would live with these liberating facts for less than three years. They were good years. I think often of a pair of dedicated amateur genealogical detectives who made this possible in our family. I never really properly thanked them. I’m just now, after thirty years, understanding the impact of what they did for my family. Thanks Lawrence and Juanita Uhl wherever you are! May your tribe increase! I dedicate this blog to you, your memory and people like you who are committed to the facts and will follow them wherever they lead. I hope we all break down our brick walls together and continue to backtrack the common until we meet in a place where there is no sorrow. A fascinating story. You just never know how our background affects our very being. What a fantastic story ! I love doing genealogy. It is truly a passion.